Nicola qualified as a Chartered Legal Executive in August 2012 and has over 13 years' legal experience gained in both private practice and local government. Nicola has had extensive involvement in advising on a range of employment issues to employees and employment law for businesses, including employment contracts and internal policies; performance management; termination of employment; discrimination; settlement agreements; transfers of undertakings and employment tribunal proceedings. She has undertaken advocacy in the Employment Tribunals, Magistrates and County Courts and has also attended the EAT on a number of occasions where she has been instructed on reported cases. 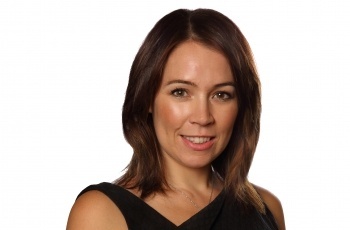 Nicola is experienced in pre-action negotiations and has represented clients at both private and judicial mediations whereby she has an excellent record for achieving successful outcomes for her clients. During her seven years of employment at Norfolk County Council, Nicola was able to achieve some outstanding outcomes and has been personally responsible for saving her clients thousands of pounds. In her experience of providing advice to a large scale employer, Nicola understands the importance of commerciality and cost saving. Since leaving local government and joining Clapham and Collinge as Head of Employment Law in January 2017, Nicola has furthered her experience in acting for individuals, and clients often comment on her personable and practical approach when providing advice and dealing with disputes. The Legal 500 United Kingdom 2017's guide to outstanding lawyers nationwide recommend Nicola for Employment law. "I feel compelled to relay my sincere thanks for your recent services. Nicola Strefford, Head of Employment Law and her management support team of Rosa Barker and Ben Lewins professionally handled my affairs to a successful conclusion. We all at some point in our lives need to call on expert legal services and I will have no hesitation in recommending your business offering; in particular the courteous, empathetic and thorough engagement, consistently provided by Nicola within a comfortable environment." Mr K Whitman, April 2018. I would just like to Thank you for your approach regards our contract issues. Throughout the process you have been very professional, proactive & at the same time very informative. Thank you so much for all your help and advice. You helped make it much easier for me deal with the situation by resolving it so quickly for me.